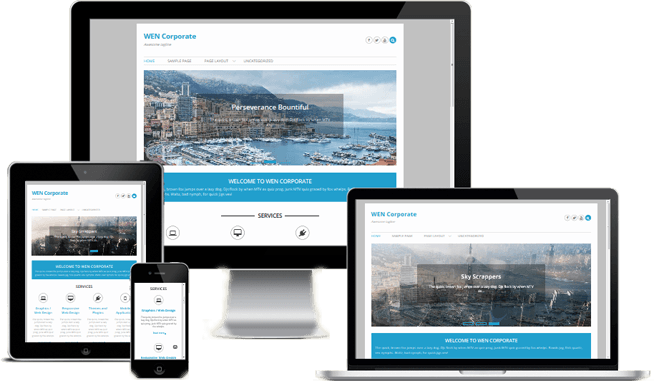 WEN Themes proudly present WEN Corporate : a simple and clean business-based responsive WordPress theme. 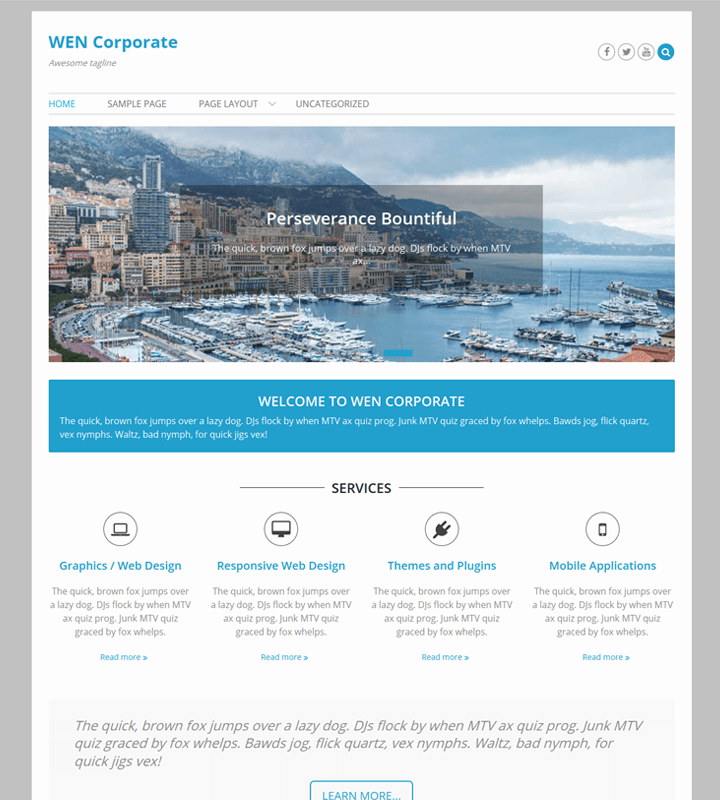 With standard sections that work for any Company, convenient Theme Options for easy management and standard features of an elegant blog and homepage, WEN Corporate is a fine solution for a fine presentation. Custom CSS field and other standard WordPress elements . The code / setup is easy to customize and extend by various hooks offered in the build. With generous spacing toward a clean presentation, standard coding practices, latest feature the theme could be a next for your awesome start-up site.